Does it only come in black? Or can you get in Desert sand ? Excellent product and a bargain at the price. Setting this up was easy. Co-witnessed instantly at 50 yards with no adjustments. 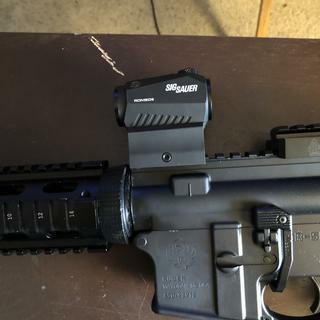 This is a good budget red dot. Well worth the money. Very nice red dot for the $. Would recommend to anyone! Eat red dot on a budget. Amazing quality. Very sharp dot. Easy to see in all lighting conditions from indoors to outdoors. Awesome and great price. Bought two. Super nice and I love the co witness aspect! 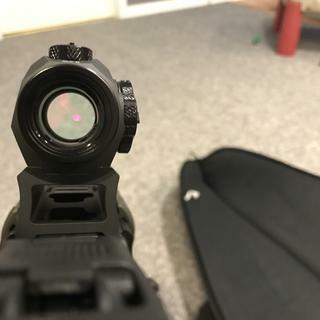 Awesome red dot for the money! Can’t beat it! Smaller than expected and I don't like that it's made in China. Good enough for a temporary sight on my new rifle but I'll probably get something else. Took me a little over a year to finally bite the bullet and pick up the Romeo 5. I watched hours of reviews on youtube. I read through review after review. 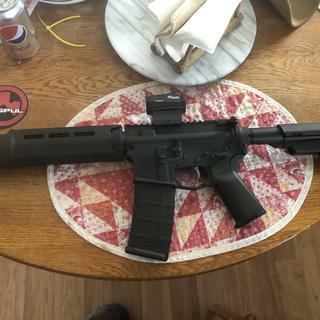 Needless to say when I got home with mine the first thing my girlfriend asked was when she was gonna get one for her AR.... the next day we went and got one more. 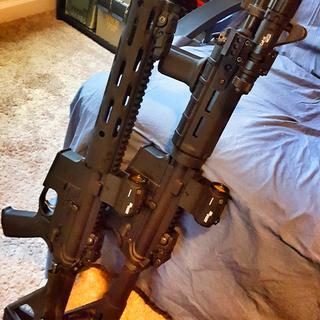 They both run flawlessly and are very easy to ZERO on the range. Sig lifetime warranty means you don't need to worry if you break it. 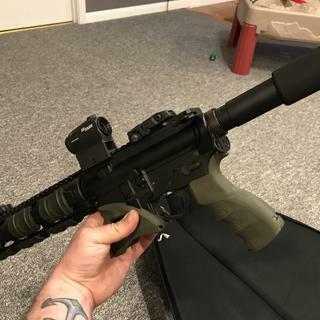 just send it back to Sig and boom new optic. The view is clear. The attachment is strong but with hard use it will loosen so some lock tight would be a good idea. The dot brightness adjustment is great and the overall adjustment is easy. I would highly recommend for anybody. 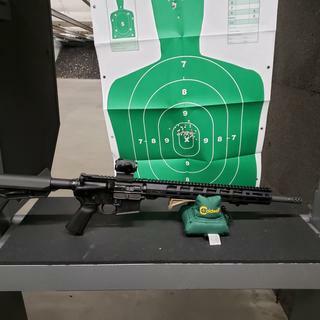 My first red dot, was very easy to zero on my 10.5 AR pistol. PSA was quick shopping and great price. Functions properly and looks great. 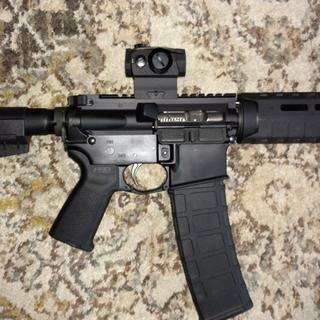 I mounted this on a Ruger MPR and went to the range to sight it in with a couple friends. It was easy to zero in and at 25 yards it was right on. I moved on to 50 yards and it was really close so I did bother to make any adjustments. Great product for $120 from Palmetto State with free shipping. 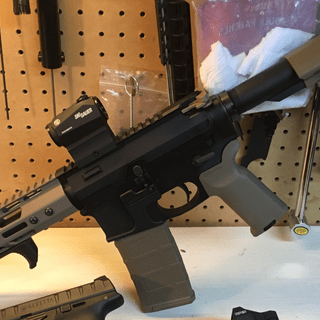 This product runs very well with my PSA Freedom AR-15. Red Dot rests perfectly above front sight. I will likely be purchasing another in the future. 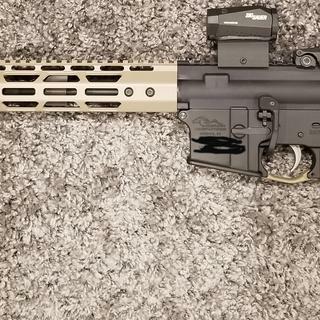 Excellent optic for the price point. 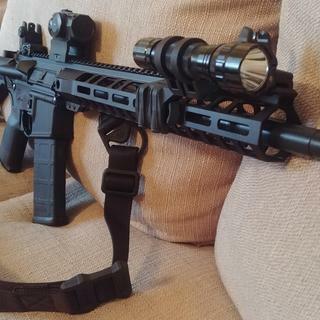 What a great price nice, compact optic. Minimal obstruction to my view.